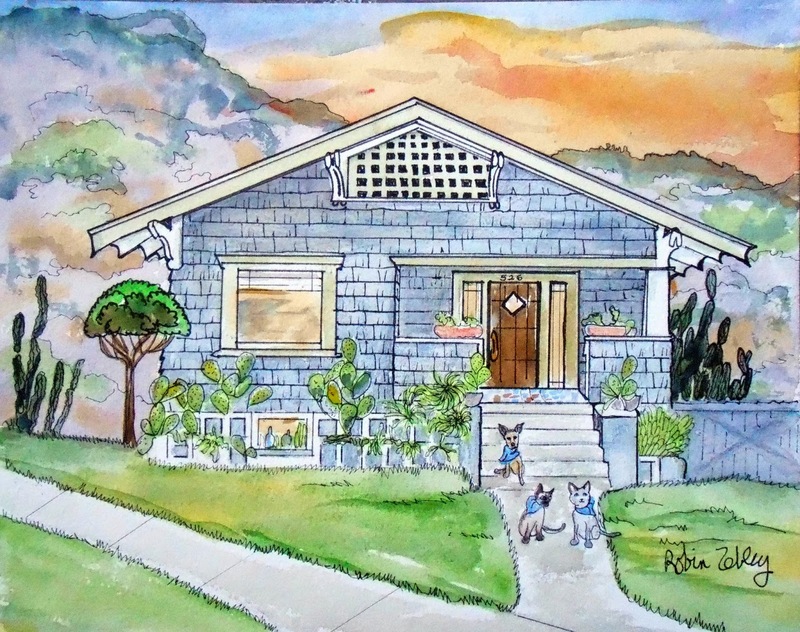 Now this was a fun house portrait to paint! I live in a bungalow, too, and love it, but this one is in California with the Hollywood Hills in background, what a view! The sunsets are to die for, and that's how I painted the sky. I grew up the cacti, and added the little dogs and siamese cat. I whimsied it up the lattice, and for for a final touch, added the bottles collection in the window, turning this house portrait into a home portrait!